YouTube have added a cool visual browser that allows you to find videos that are related to the one you are watching. In order to access the feature view a video, then go full screen. You’ll notice a new icon next to the play button ( represented by three dots) if you click on this and the Visual Browser appears. 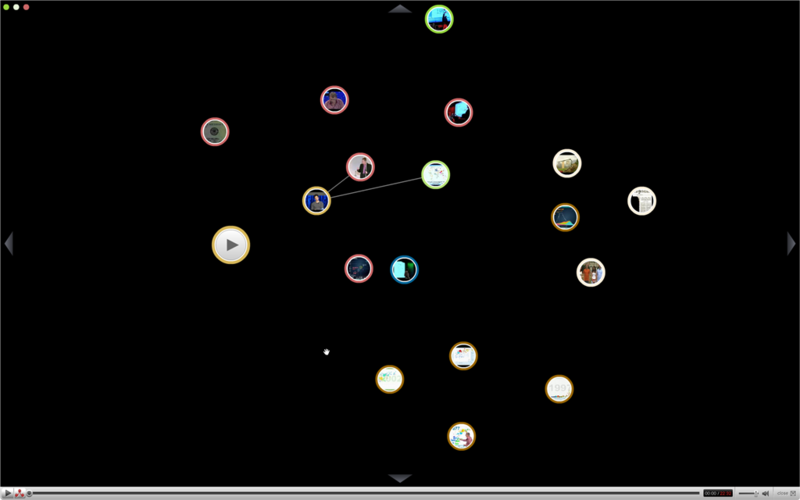 It shows you videos related the current node in the center. If you click on any related video more nodes appear representing further related videos. As an exploratory interface it’s really simple and intuitive to use and uses a similar metaphor to an interface I’ve been working on at Talis for exploring data that is structured semantically. For a while now I’ve believed that discovery is more important than search, if you think about it traditional searches that ask users to enter keywords don’t use context which is why they are so hit and miss – relevance rankings are based on external influences and nothing to do with you as an individual what’s worse is it’s never clear to the user why the results that do appear are there – we have to accept the relevance or ranking system because we are never told why. A discovery tool like the Visual Browser pictured above helps us to see how things are related and in doing so provides us with context – it also gives us a sense of control because we choose how we explore and find things of interest … that’s empowerment.